Robin: "What's the matter? 'Ninny ninny ' wasn't good enough for you? Popeye wasn't good enough for you?" Robin (as his son): "Popeye wasn't good enough for anybody. Who are you kidding?" 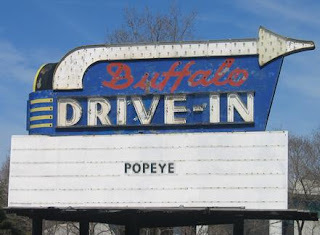 A confession: I went to see Popeye in the theater. I wasn't very impressed. Why? At that point I had seen Mork and Mindy and had seen Williams guest on late night TV shows like The Tonight Show, and I also had his first album Reality.. What a Concept. I was expecting something of the same manic performance that I was used to seeing, and it was something of a letdown. But Popeye is a movie that grows on you after repeated viewings. 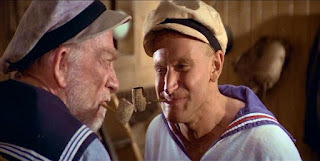 I watched it again a few years later, after I had seen The World According to Garp and Moscow on the Hudson, after I had grown to see Williams as a fairly consummate actor who could break out of that mold of manic uncontrolled comedy, and it turned out that Popeye wasn't all that bad, It's a movie that can be entertaining in it's own right. The Robert Altman directed film was not exactly a box-office success. It made money, to be sure, but not the kind of money that Paramount was expecting. 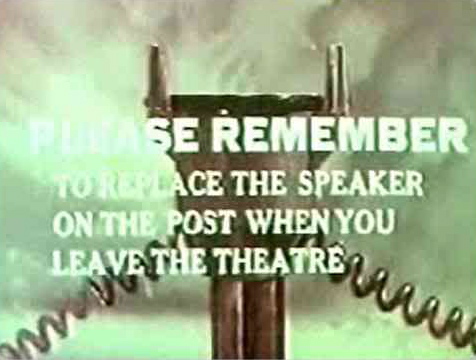 It also was a bomb according to critics. 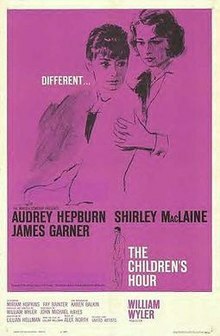 With the exception of Roger Ebert who gave it 3½ stars, most critics were either mediocre or lambasted it. The songs had something to do with it, if you ask me. Only one song, done by Bluto , is really all that good ("I'm Mean"). Sailing in to the port town of Sweethaven is a lone sailor. 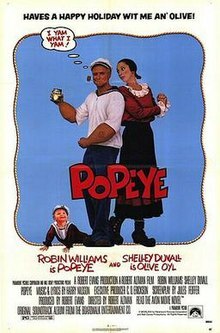 Popeye (Robin Williams) is immediately treated like an outsider (which he is, but this town really is suspicious of newbies...) Popeye is on a search for his long lost father, a man who abandoned him as a child. 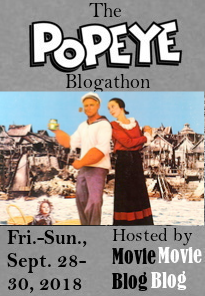 Popeye is rebuffed by nearly everyone, but he manages to find a room to rent from the Oyl family. 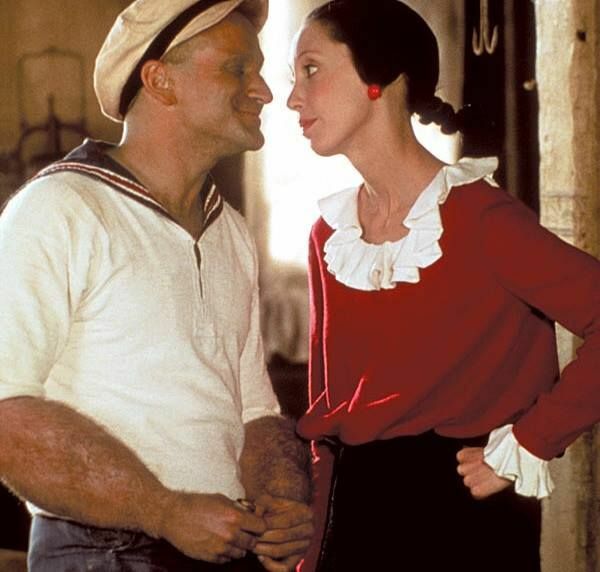 Olive (Shelley Duvall), the daughter, is engaged to marry Bluto (Paul L. Smith), but she is having second thoughts. Probably because the marriage is just a matter of convenience. 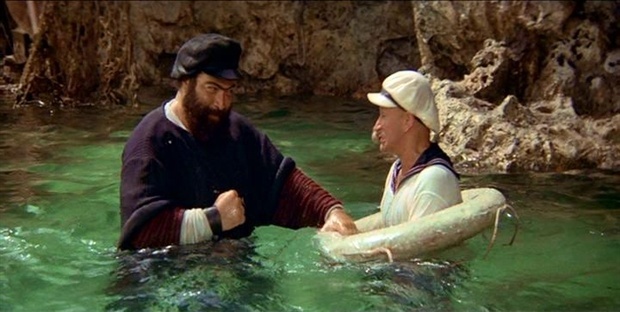 Bluto is a bully and a mean-spirited cad, but he is also the big man on campus, in more ways than one. Things deteriorate as Bluto becomes convinced that Popeye is muscling in on his betrothed. Which is exactly what's happening. 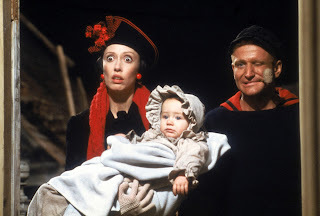 Although Olive and Popeye don't hit it off initially, a gradual respect and then love blossoms, especially after Popeye and Olive happen upon an abandoned baby, which Popeye promptly names Swee'pea. 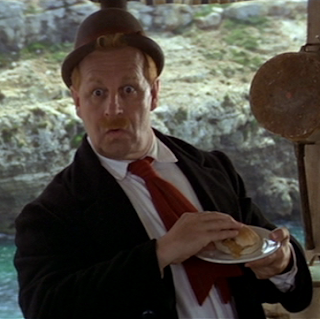 Swee'pea has his own special ability, which is discovered by Wimpy (Paul Dooley). It seems Swee'pea can pick the horses and Wimpy takes him to the horse races to start to win a stash (so he won't have to beg for hamburgers anymore). The music of this movie is only so-so as I said before. Especially grating is Shelley Duvall's singing of "He's Large" in the opening part of the movie. One of the problems I had with the songs was they seem to have not taken much effort to try to sync the songs with the actors singing the songs. The aforementioned "I'm Mean", in particular, although i really liked the song, has a discombobulated synchronicity with the action going on on screen. Still, all in all, it is not nearly as bad a movie as I initially thought. 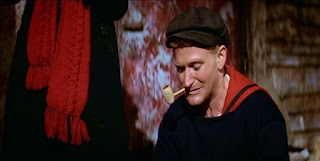 Sure, Robin Williams isn't the manic character like he would play in Good Morning, Vietnam or Aladdin, but then I've seen him in several less manic roles and have grown to appreciate the film on those merits. Well, folks, time to sail the old Plymouth back to home port. Drive safely. I'm just the opposite. I'd willingly watch a live-action portrayal of my favorite cartoons (unless it had Tom Cruise...) Thanks for reading. 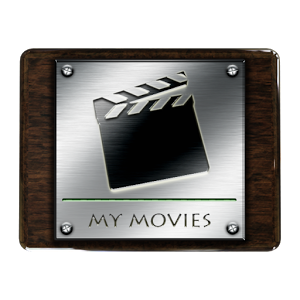 You have piqued my curiosity about a movie I had no interest in before today. H'm. Hope you're not disappointed if you do watch it. Thanks for reading. As a child I loved the Popeye movie it was not until I had kids that noticed it did not hold up so well. I still can not see anybody playing the part other than Williams. Oddly I liked the music but yeah it could be why people did not care for it. I'm not a big fan of musicals, which probably is why I didn't care for the songs. Thanks for reading. 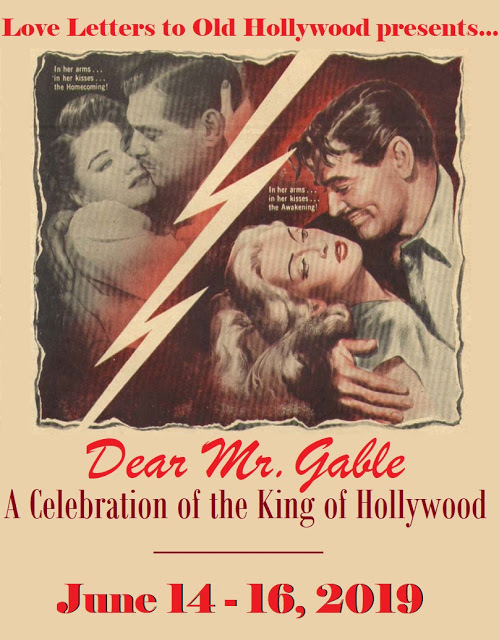 This was not one of my favorites—I saw it in 1980 but not since. Now that I have developed a real affection for the brilliance of Robin Williams, I should see it again. I remember being disappointed in this after I had enjoyed him in Mork and Mindy so much. 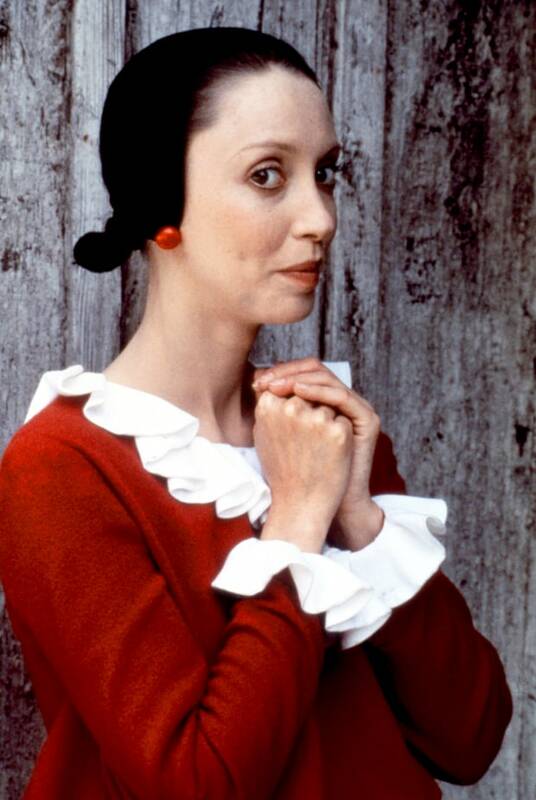 Liked Shelley Duvall as Olive though. 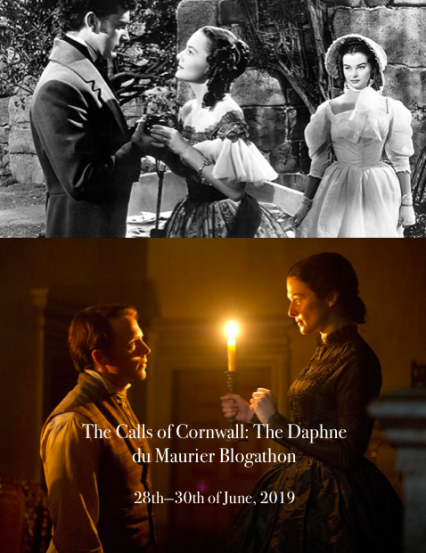 We have similar tastes (although that liking of Duvall makes me rethink that somewhat...LOL) so maybe you'll like it somewhat, same as me. Thanks for reading, Chris.